(Ottawa, Canada – July 6, 2013) The Canadian Council on American-Islamic Relations (CAIR.CAN), a prominent national Muslim civil liberties organization founded in the year 2000, today proudly unveiled its new name and logo. ‘As of July 6, 2013, CAIR.CAN will be known as the National Council of Canadian Muslims (NCCM) or the Conseil National des Musulmans Canadiens (CNMC). This change represents a natural evolution for the organization. 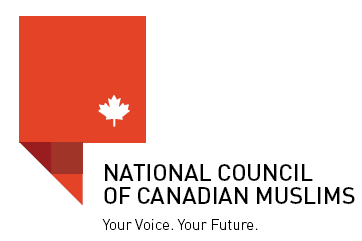 Our new name better reflects the Canadian heritage and focus of the organization as well as its ongoing vision to be a leading voice that enriches Canadian society through Muslim civic engagement and the promotion of human rights,’ says NCCM Board Chair Kashif Ahmed. ‘In thirteen short years, CAIR.CAN has developed from a fledgling organization into one whose professionalism and accomplishments in the fields of civil liberties, media engagement, advocacy and outreach have positioned it as a leader in promoting civic engagement and mutual understanding between Canadian Muslims and their fellow citizens. We are proud to move forward from strength to strength under our new name,’ says NCCM Vice-Chair Khalid Elgazzar. ‘We remain the same organization our constituents and partners have come to rely on to represent a broad and diverse spectrum of Canadian Muslims. Our vast body of work is a matter of public record and of which we are very proud. Under our new name, we will both continue and widen our work as successful advocates for civil liberties and champion the role of diverse communities in upholding Canadian pluralism,’ says NCCM Executive Director Ihsaan Gardee. At the time of CAIR.CAN’s beginnings in 2000, the Council on American-Islamic Relations (CAIR) in the United States had established itself as a pioneering civil liberties advocacy organization for American Muslims. They had developed best practices and extensive knowledge in this important area. It was hoped that CAIR would provide a model that would serve Canadian Muslims equally well. And it has. However, there was never any operating or funding relationship between CAIR.CAN and CAIR, and CAIR.CAN focused entirely on issues affecting Canadian Muslims, independently of CAIR. As the National Council of Canadian Muslims (NCCM), we will continue to share best practices and insights with our civil liberties partners here in Canada and indeed in North America. Our vision, our mission and our work remain exactly the same as before when our name was CAIR.CAN. We aim to be the leading voice that enriches Canadian society through Muslim civic engagement and the promotion of human rights. Our mandate is to protect the civil liberties of Canadian Muslims, promote their public interests and challenge Islamophobia. The GMBDW believes that the name change represents an attempt by CAIR-Canada to both change the perception of the organization as well as taken on a more expanded role as a representative of Canadian Muslims, a role that would seemingly place it at odds with the Islamic Society of North America (ISNA) and its Canadian branch. The Council on American Islamic Relations (CAIR) describes itself as “a grassroots civil rights and advocacy group and as “America’s largest Islamic civil liberties group.” CAIR was founded in 1994 by three officers of the Islamic Association of Palestine, part of the U.S. Hamas infrastructure at that time. Documents discovered in the course of the the terrorism trial of the Holy Land Foundation confirmed that the founders and current leaders of CAIR were part of the Palestine Committee of the Muslim Brotherhood and that CAIR itself is part of the US. Muslim Brotherhood. In 2008, the then Deputy leader of the Egyptian Muslim Brotherhood acknowledged a relationship between the Egyptian Brotherhood and CAIR. In 2009, a US federal judge ruled “The Government has produced ample evidence to establish the associations of CAIR, ISNA and NAIT with HLF, the Islamic Association for Palestine (“IAP”), and with Hamas.” CAIR and its leaders have had a long history of defending individuals accused of terrorism by the US. government, often labeling such prosecutions a “war on Islam”, and have also been associated with Islamic fundamentalism and antisemitism. The organization is led by Nihad Awad, its longstanding Executive Director and one of the three original founders. The most important leader of CAIR-Canada has been Jamal Badawi, also a leader in many of the most important Global Muslim Brotherhood organizations including the Islamic Society of North America (ISNA), the Council on American Islamic Relations (CAIR Canada), the Fiqh Council of North America, the Muslim American Society (MAS), the European Council for Fatwa and Research and the International Union of Muslim Scholars. Documents released during the Holy Land Foundation terrorism financing trial indicate that Dr. Badawi was (and probably still is) a member of the leadership structure of the U.S. Muslim Brotherhood.